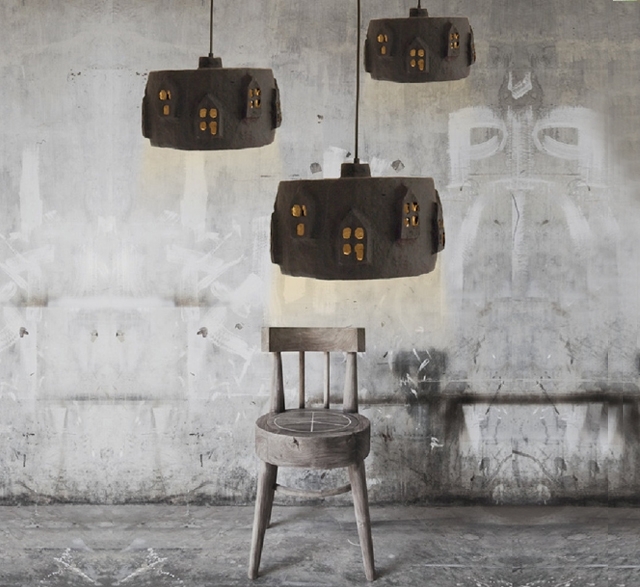 City Light Lamp Shade in black by The Paper Moon Factory can be used for a table lamp or pendant. Handmade from paper maché (paper pulp) and painted with chalkboard paint for a black matt appearance. Dimensions: 34 cm (diameter) x approx 21 cm (height).